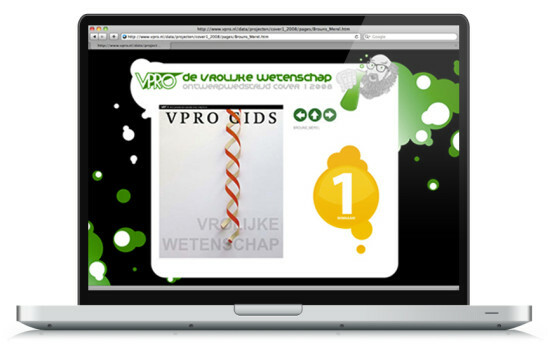 Design contest winner of the VPRO television guide. VPRO is a one of the biggest public broadcasting organisations in the Netherlands. 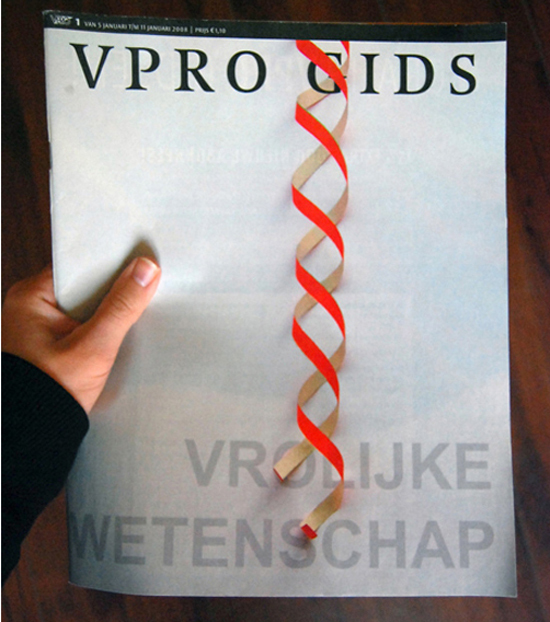 That particular week there was a theme ‘Vrolijke Wetenschap’ (Happy Science) around which the VPRO launched a cover contest, and anyone could join. Click here to see all of the other designs.